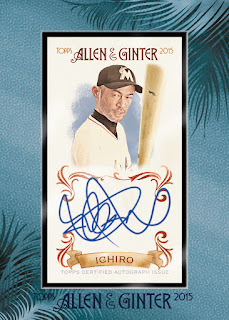 Ichiro will be appearing on a Topps card for the first time in 3 years when he is included on the checklist for the 2015 Allen & Ginter’s release coming out in July. 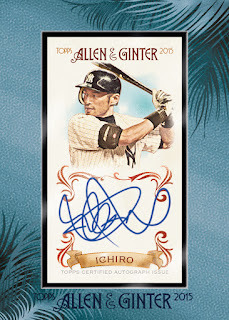 He even signed for Topps, the first time he has done that, with his autographs appearing in Supreme, Triple Threads, Five Star, Dynasty and High Tek as well as A&G. Ichiro’s signature has never been a thing of beauty but people seem to be more worked up about what Topps is packing out this year. 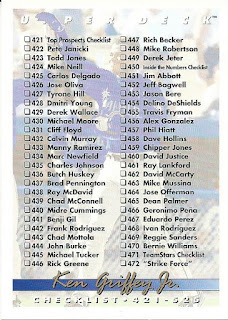 What is your input? 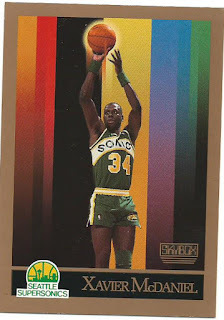 Today I am going to cover the Seahawks, Sonics and Suns that Bo sent me in the package that I started covering yesterday. 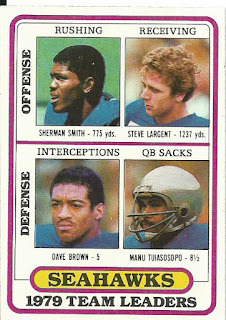 The selection of Seattle Seahawks runs from the early 1980s through the 2000s and included some of the best to ever wear the navy and green. Included in the bundle are players like Sherman Smith, the first Seahawks RB (and current RB coach), Rickey Watters, Joey Galloway, Walter Jones and Lofa Tatupu (not one of the greatest but one of my favorites). 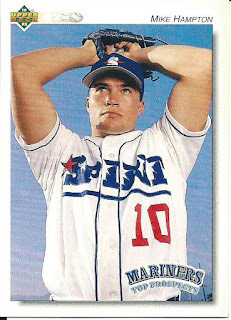 Believe it or not I did not have a Boz rookie until this one got in to my hands. 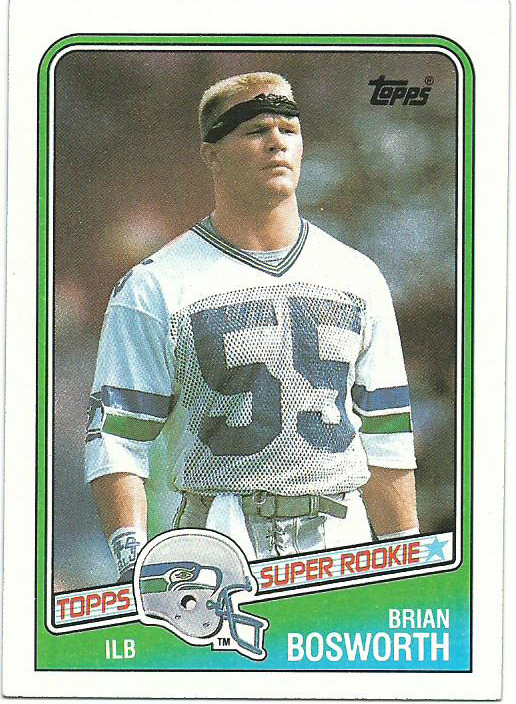 He was a bust as a professional football player but he was a complete success as the personality “Boz”. 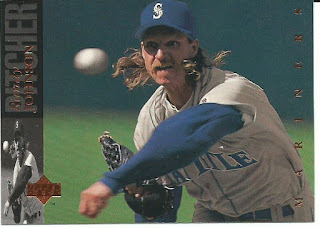 I wouldn’t say that I idealized him, far from it, but I did respect his play. 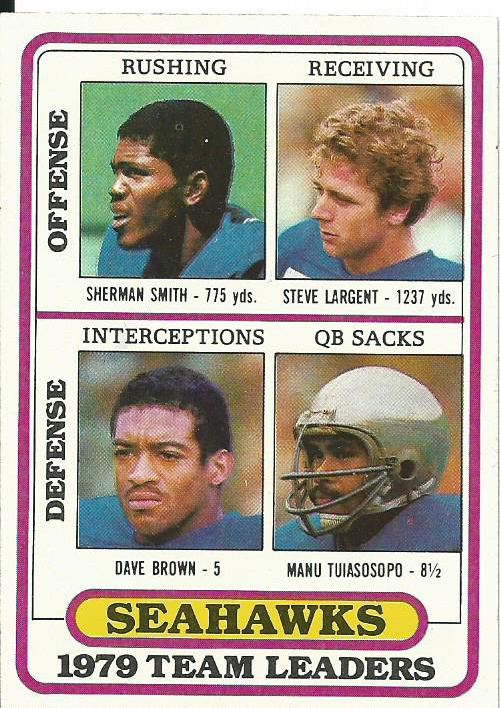 When he wasn’t injured he was a dominant linebacker and as a high school linebacker I wanted to play that way. I even changed my jersey number to 55 when I switched positions to linebacker during my sophomore year (1987) after he was drafted by the Seahawks. 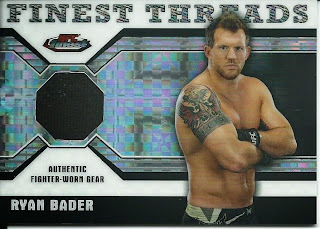 Even now I still like him and have a small Boz collection. 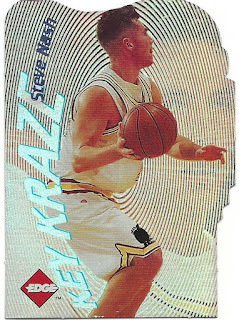 I got a little over 100 basketball cards, a mix of Seattle Supersonics and Phoenix Suns and one Steve Kerr that I needed for my collection. 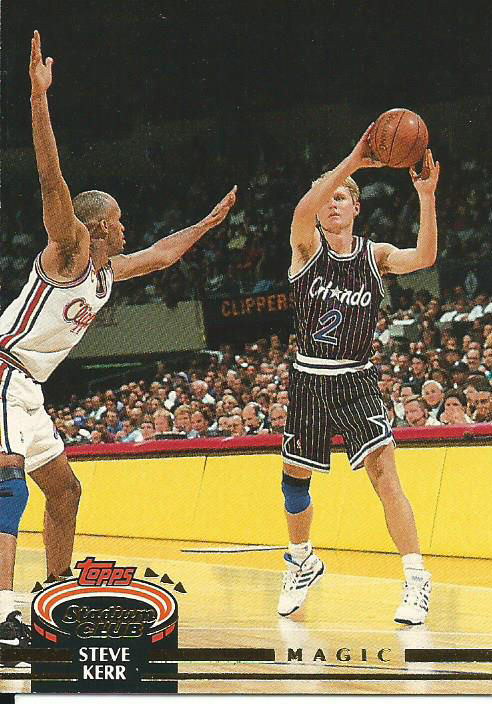 I begin with the set that brought me back in to collecting sports cards, the 1992-93 Stadium Club set and my favorite basketball player ever Steve Kerr. He took the Arizona Wildcats to the 1988 Final Four, he holds the NBA record for highest career 3-Pt Field Goal Percent, won five NBA Championships with the Bulls and Spurs, built a dominant Phoenix Suns team while the team’s GM and as a rookie coach brought the Golden State Warriors to the NBA Finals. Next up is my second favorite NBA team, the Seattle Supersonics. When I saw this card I thought it was so cool. 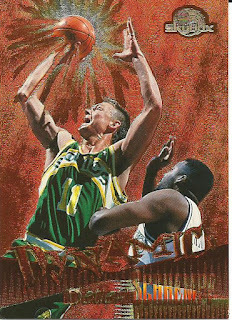 I have some neat Payton cards like the GP Scorers Club autograph I pulled from last year’s 2013-14 Immaculate Collection Basketball, but this card shows the epitome of GP’s ball handling skills as he flies through the air with a burning ball. 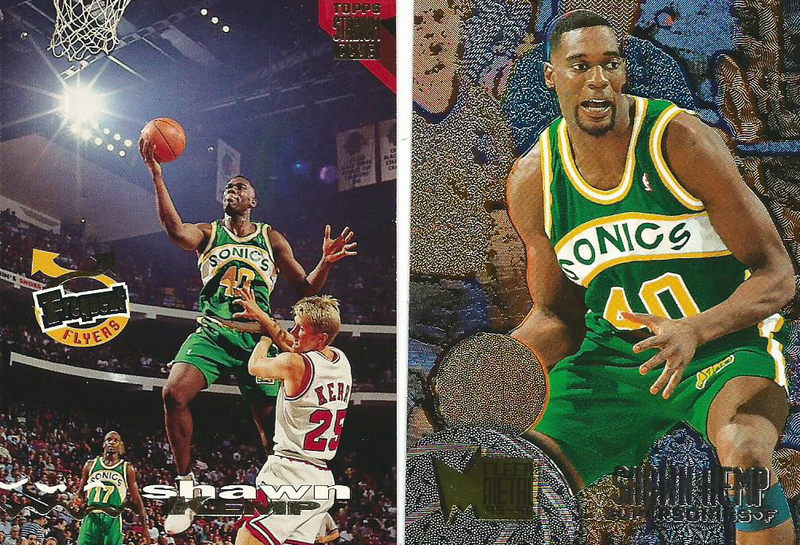 Then there is the ever-fertile Shawn Kemp (7 kids with 6 women). 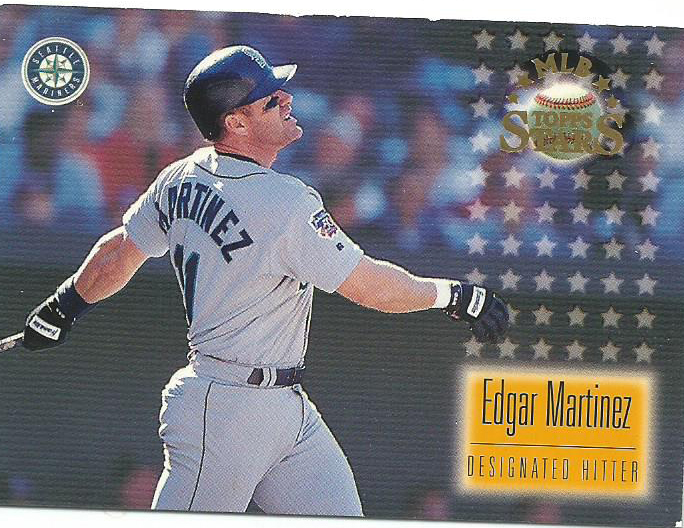 His high-flying aerial acrobatics were amazing to watch. 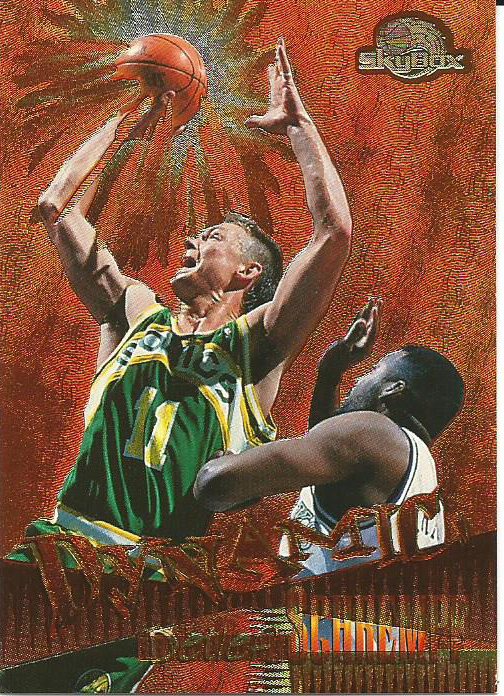 As an added bonus the 93-94 Stadium Club includes Kemp flying in for a layup over Steve Kerr. A couple of fan favorites: Detlef Schrempf and Xavier McDaniel, the X-Man also played for the Suns. 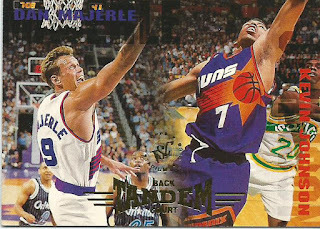 Going from the Pacific Northwest to the Southwest desert it is time to take a look at the Phoenix Suns, my favorite team. 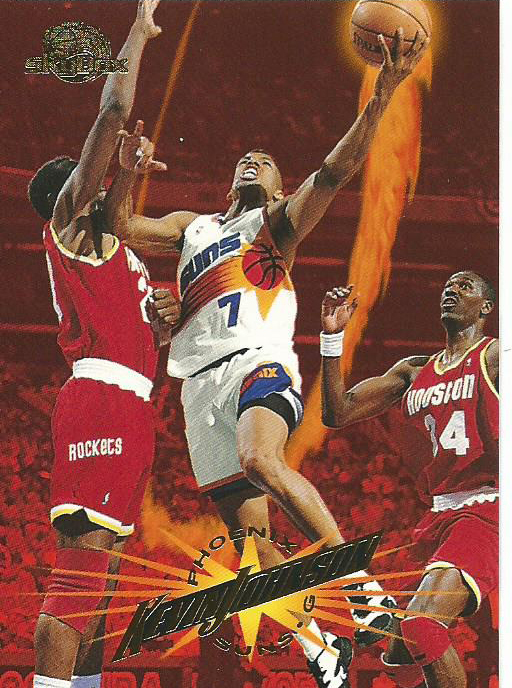 Any conversation about Top Suns will always include Kevin Johnson. 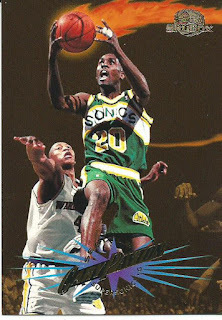 KJ, now the Sacramento mayor and main reason the Kings are not in Seattle, was the skilled ball handler that led the team before the likes of Steve Nash. Like the Gary Payton 1995-96 Skybox I got a KJ version too and again it is a perfect example of how he controlled the game with the flaming ball. 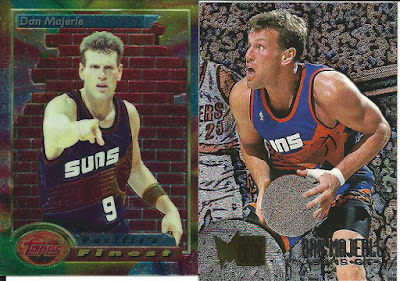 Dan Majerle was a shutdown guy and could slam a ball with power, hence the Thunder Dan nickname. A card with both KJ and Thunder Dan? Oh Snap! 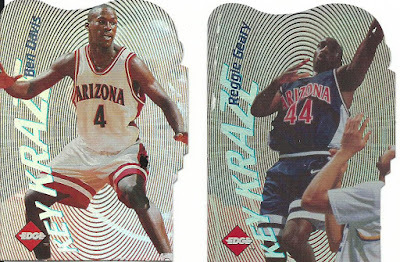 There were three cards that are among the more unique cards in the package, three 1996 Collector’s Edge Key Kraze cards featuring Steve Nash, Ben Davis and Reggie Geary. 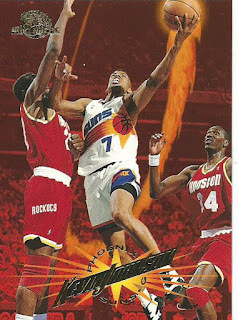 Two Arizona Wildcats drafted by the Suns in 1996 (though neither played a game for the team) and one of the greatest NBA Point Guards. This was such an amazing package that I am going to have to dig deep in to my collection and come up with some special for Bo. 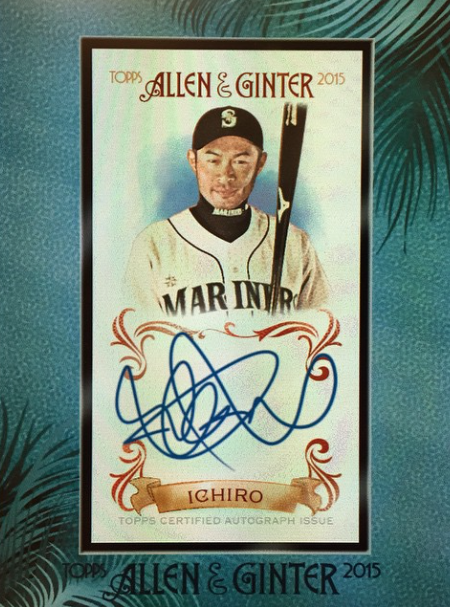 In January Bo from Baseball Cards Come To Life picked up a deal containing 40,000 cards and after working through the collection he decided he was going to have 25,000 cards to trade. 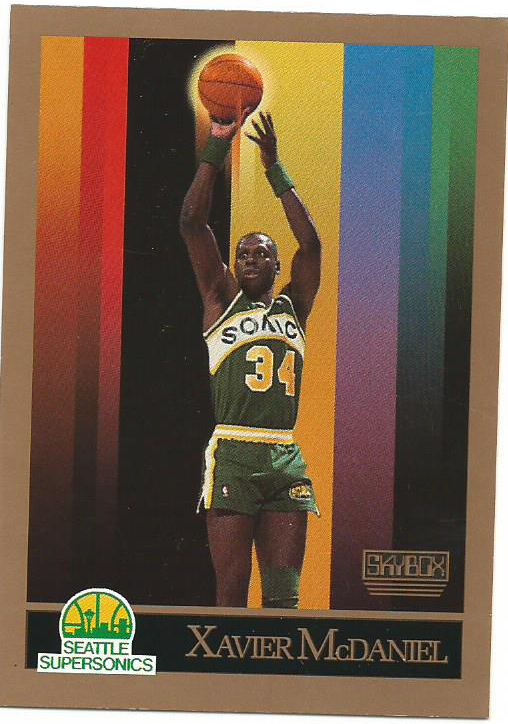 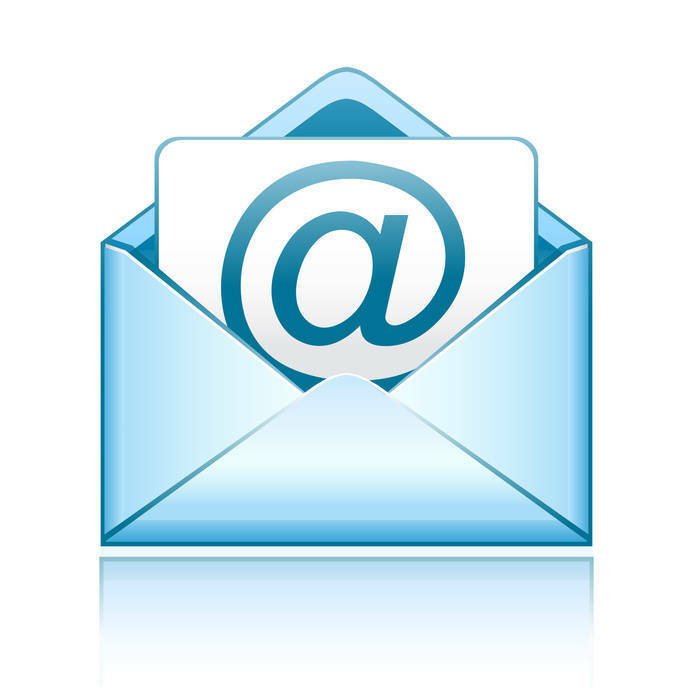 After some emails back and forth Bo set aside a mixture of Mariners, Seahawks, Sonics and Suns for me. 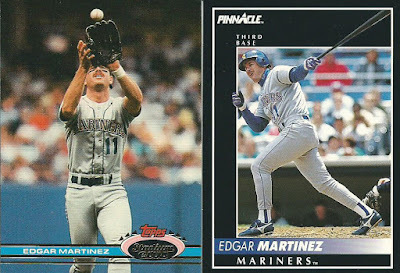 This mixture ended up being 393 cards, a whole shipping box packed with beautiful cardboard from the 1980s through the 2000s. 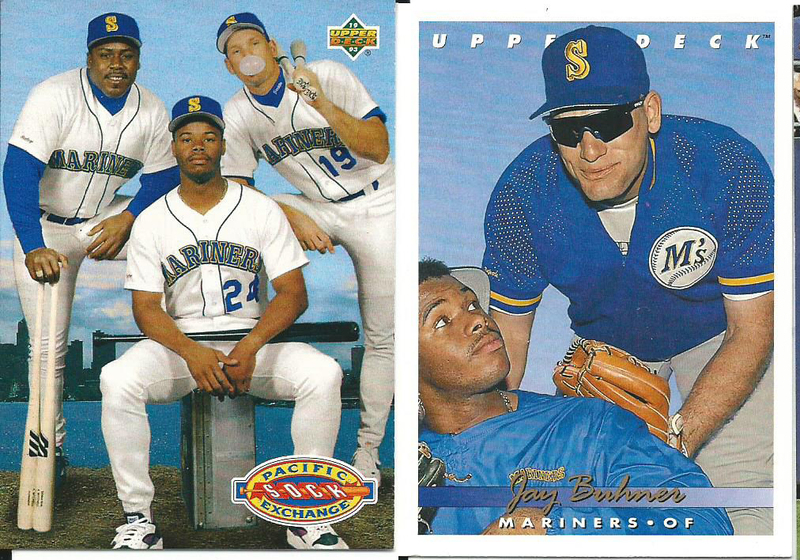 It was like a walk back through the past 20 years of my favorite sports teams and I am loving every minute of it. 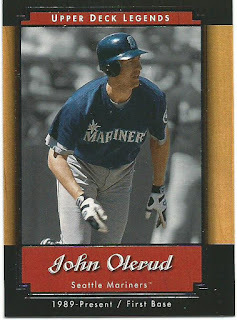 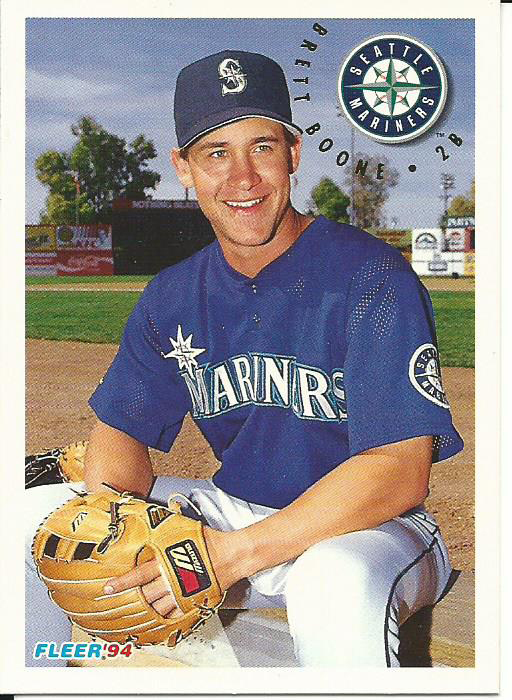 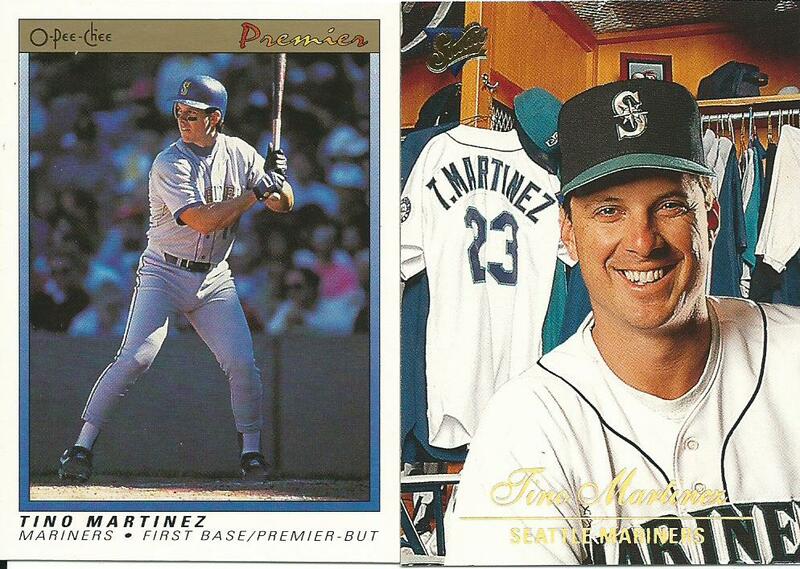 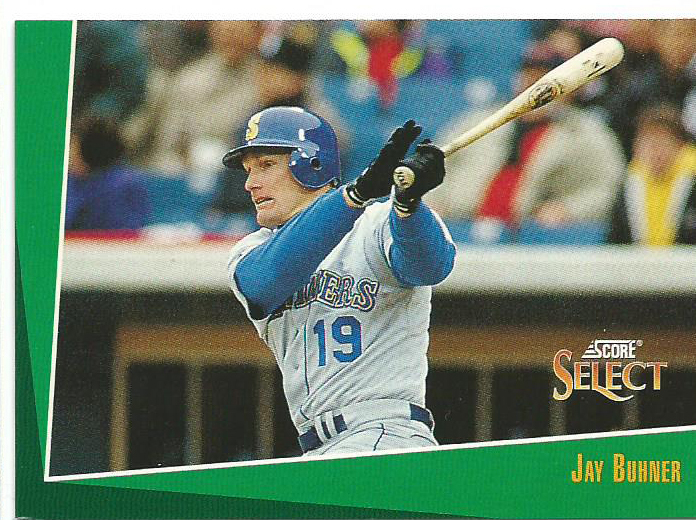 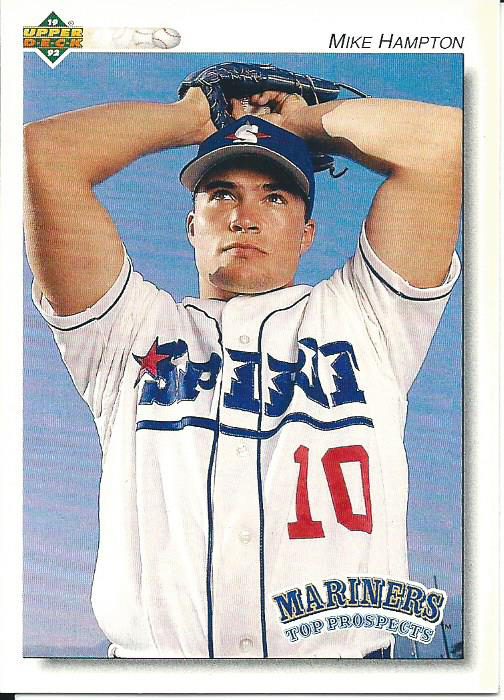 Since there are over 250 Mariners cards I will start with those today and cover the rest of the cards tomorrow. There are actually so many cards I want to show and I am torn on where to start. 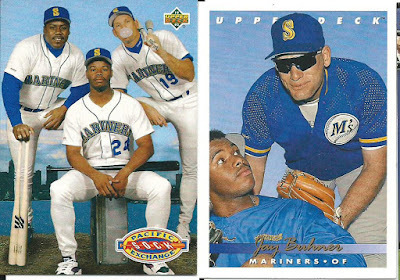 OK, I know where to start… Griffey and Buhner, my favorite two Mariners. 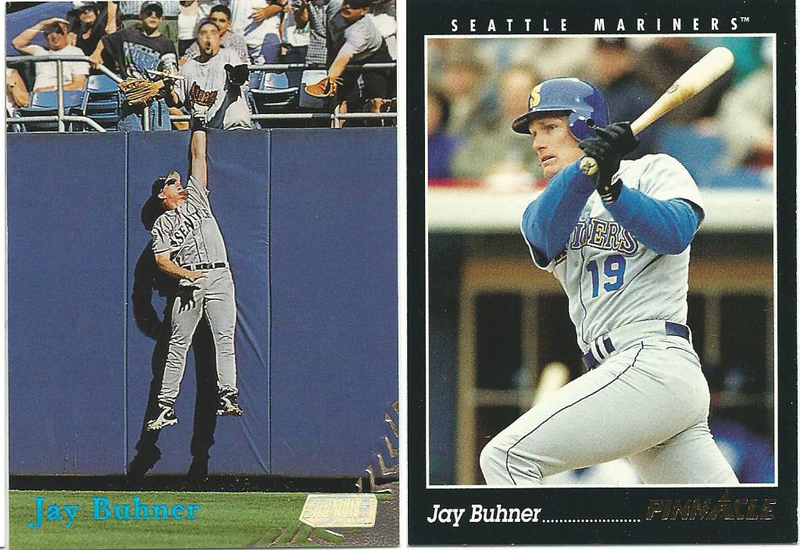 What is better than having Griffey and Buhner on the same card? 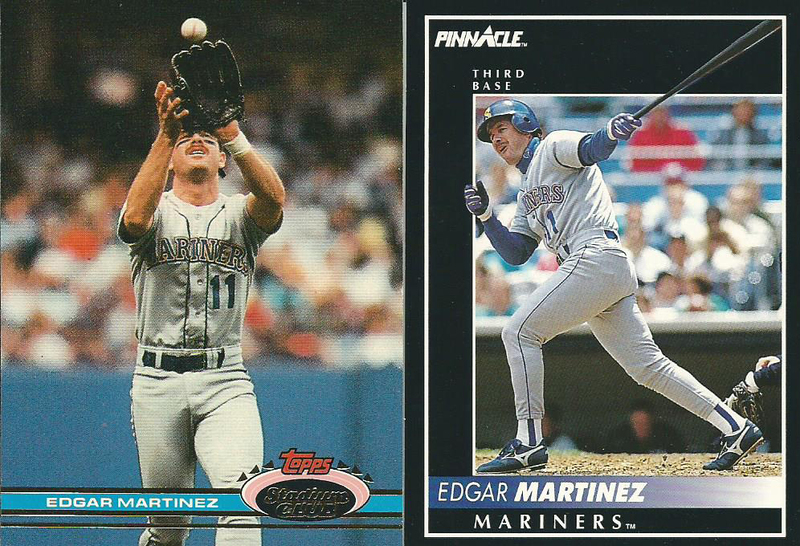 Having two cards with both of them plus Kevin Mitchell. 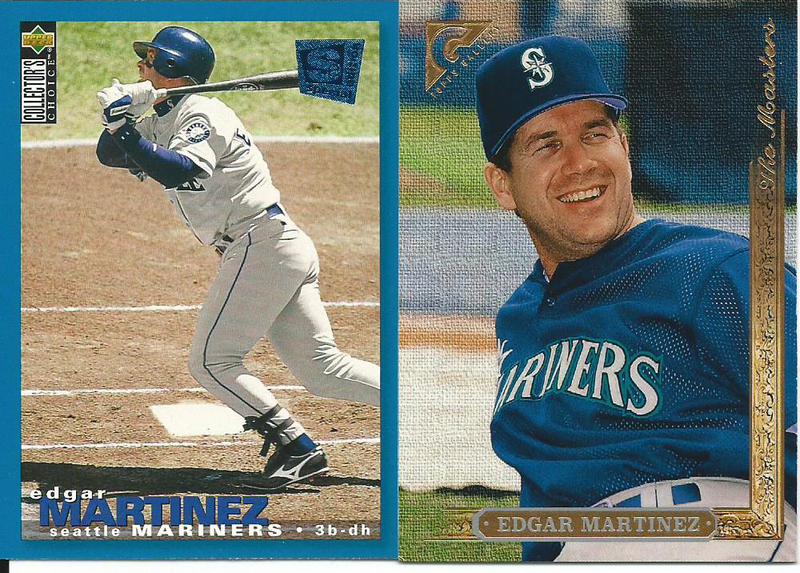 I have been going back and forth on starting an Edgar player collection but until now I have left the cards with my Mariners collection but Bo helped me make up my mind when he sent 19 new Edgar cards. The other Martinez, Tino. He was with the Mariners during the magical 1995 before leaving for the evil empire in New York where he had a much more successful career including 4 World Series Titles. 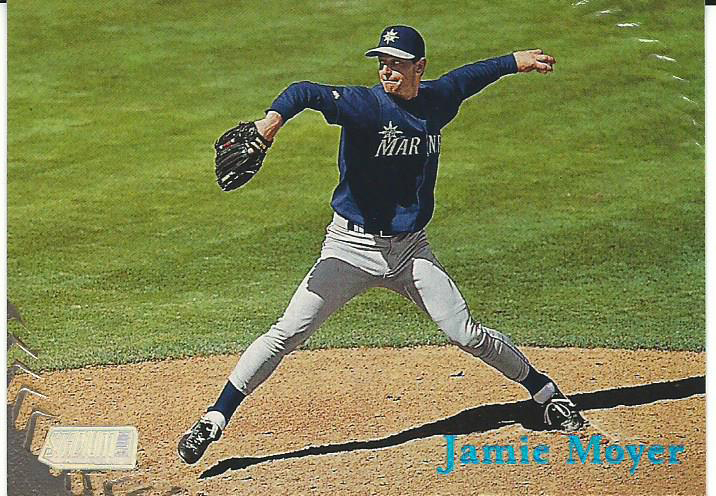 A super group of Mariner’s pitchers with Randy Johnson, Mike Hampton and Jaime Moyer. They all went on to have successful careers elsewhere but consider that between the three they have 63 seasons played, 720 wins, 8703 strikeouts and 2 World Series Titles. 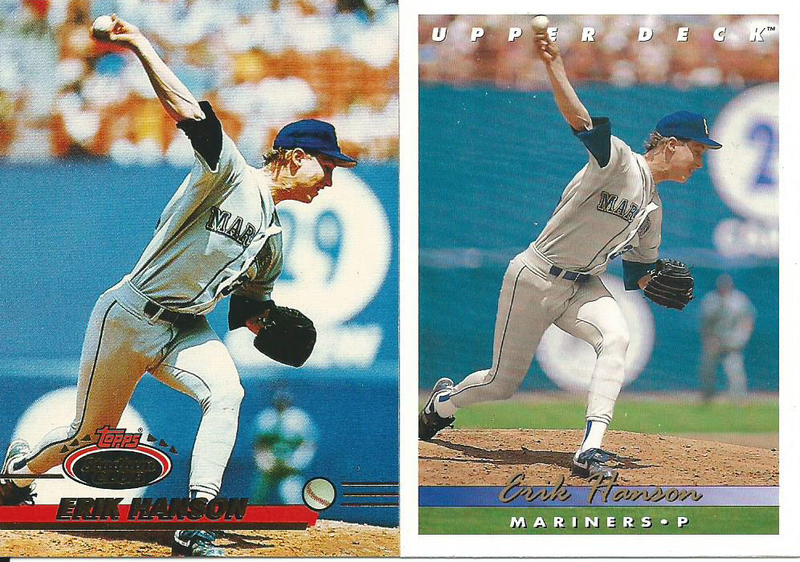 I came across this by accident but what are the chances that both Topps and Upper Deck used the images from the same pitch for Erik Hanson? The Stadium Club image shows the ball just about to be released and the Upper Deck image is just as the ball leaves his hand. 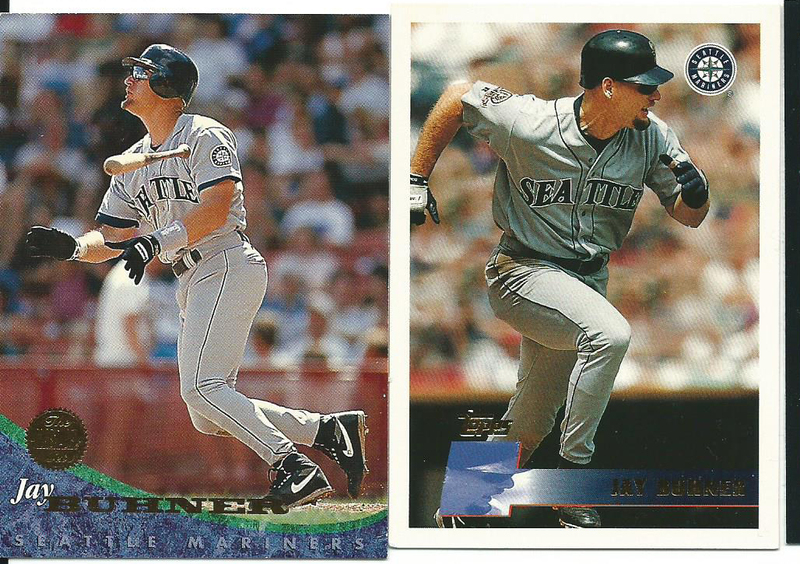 Same shadows, same folds on the uniform, same opened top button and same background. This month’s Art Gallery display comes from the 1992 Sportraits promotional cards. These cards were promotional cards given away to promote painter Ed David’s sports paintings. 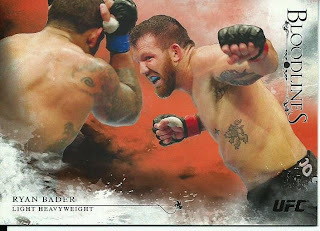 The reason that I am including this card as an Art Gallery card is because it is based on a watercolor and oil painting and it was not inserted in to packs which makes it an oddball. 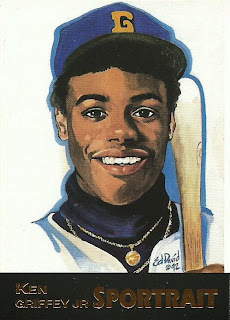 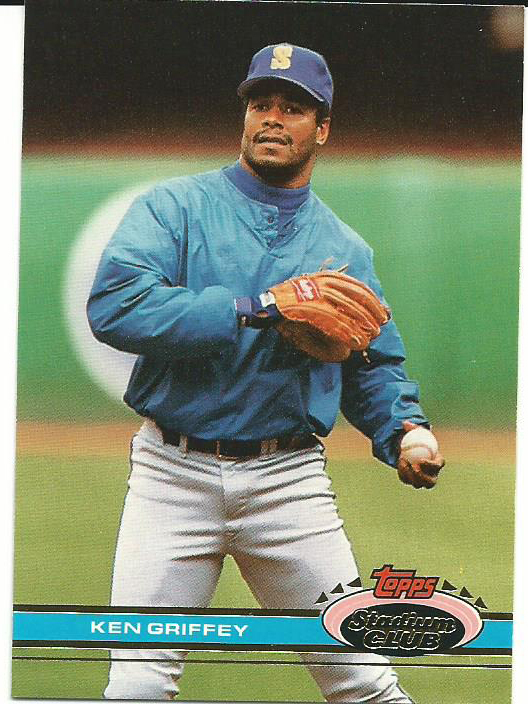 The painting is from the famous 1989 Upper Deck #1 card, which was actually a photo that was taken in 1988 while he was with the San Bernardino Spirits and airbrushed in to a Mariners uniform, but in place of the Seattle “S” on the cap there is a “G” for Griffey. 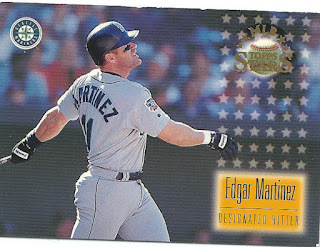 I came across this card in Google Images and I knew I wanted it. The page didn’t have any information so I had to hunt it down and finally got the card info on Zistle and then went on the hunt to find one. I am not able to find anything about Ed David or his studio Limited Editions in Whittier, California but I was able to find the trademark for Sportrait(s) which was issued on November 1991 and cancelled in May 1998. 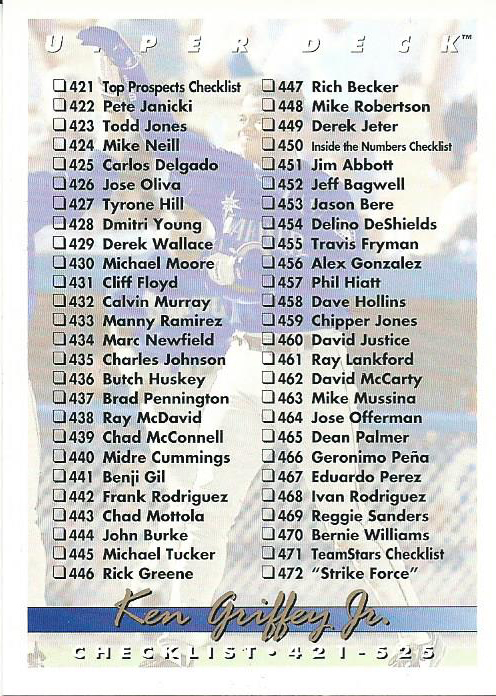 As far as I know there were only two series and each series had 4 cards on the checklist including Cal Ripken Jr. Ken Griffey Jr., David Justice and Nolan Ryan. 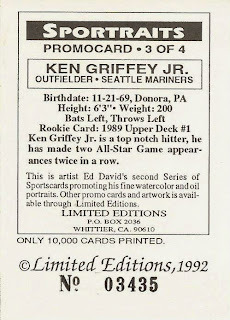 Series One cards were #25,000 and Series Two cards were #/10,000 each. The Cal Ripken Jr. cards seem to be the most common cards to find followed by the Griffey card. 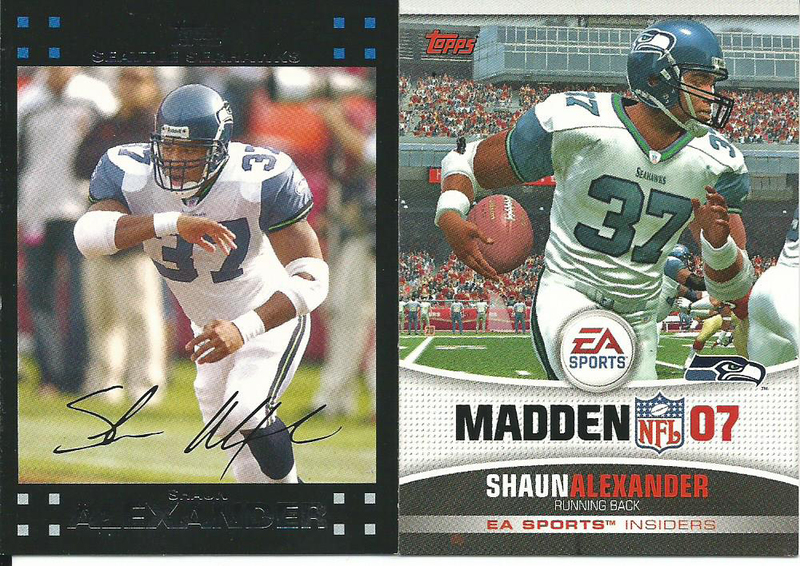 They are also pretty reasonably priced, I spent $4.50 shipped. 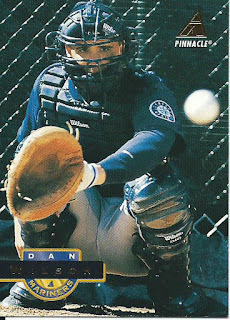 In a follow up to a story I wrote in March regarding my nephew. 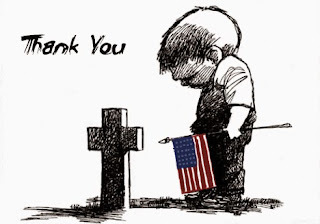 A quick rundown of the original post. My nephew, who was 8-years old at the time, was living with us and was missing his father. His connection with his father was through Macklemore’s music so when Topps included Macklemore in their 2015 Topps First Pitch checklist I picked up a card for him to help put a smile on his face. 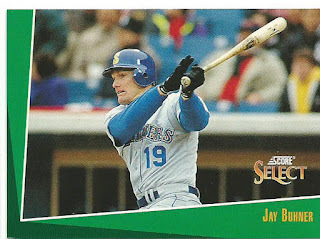 When his father was able to afford a place we sent Dakota back up to Seattle to be with his dad. Shortly after they moved in to their new home it was robbed and someone took all of Dakota’s baseball cards including his Macklemore card, which broke his heart. 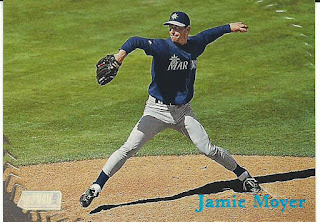 I picked him up a replacement and sent it in his birthday card at the end of March but I wanted to get something special for him to make up for everything so I picked up a second Macklemore card and sent it to Macklemore with an autograph request and included a letter explaining everything. 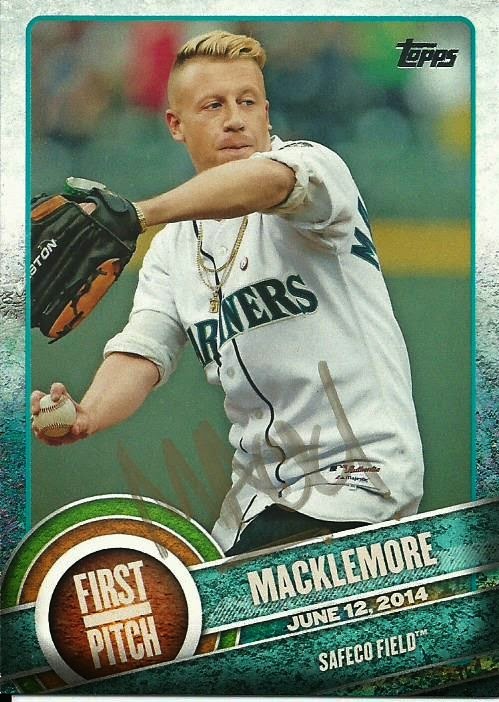 I got the card back today, it took 39 days, and Macklemore signed the card “MACK” in gold pen. 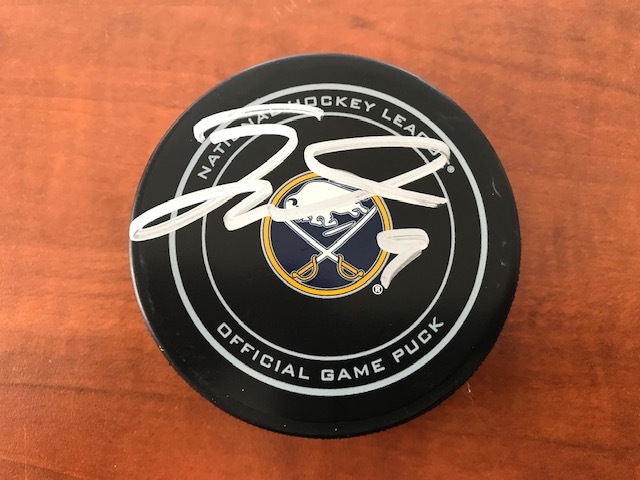 I think it is quite amazing that he would take the time to answer an autograph request for a young boy who has had a tough going in life. 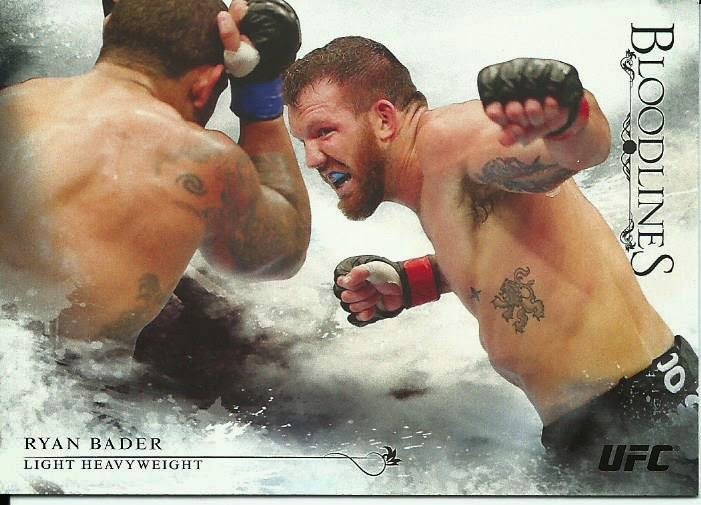 I didn’t tell Dakota that I was doing this so he will be in for a huge surprise. In 1888 base ball was still in its infancy and in an attempt to draw sales tobacco companies began inserting cards with ball players on them in to their products. 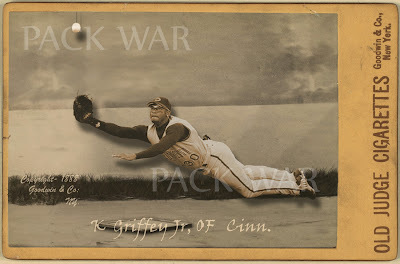 Lucky for Old Judge an outfielder named Ken Griffey Jr. from the Cincinnati Red Stockings has been tearing up the league and is the perfect player to include on the checklist for their 1888 N173 Old Judge Cabinet Cards. 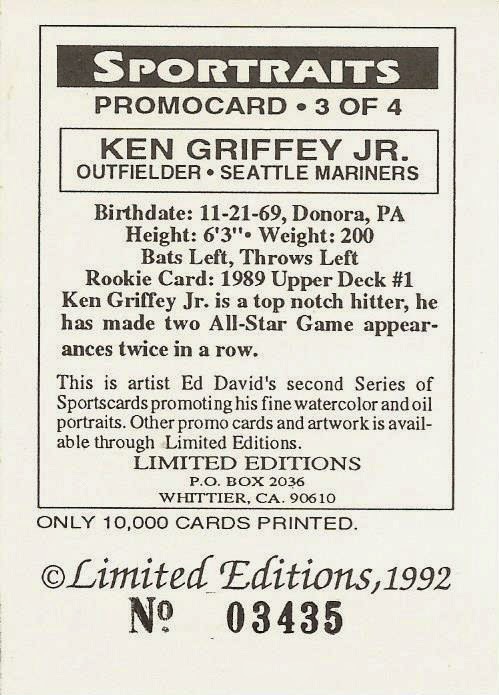 There has even been rumor that the hard hitting Griffey may someday over take Ned Williamson’s seemingly unbreakable 27 home runs in a single season. 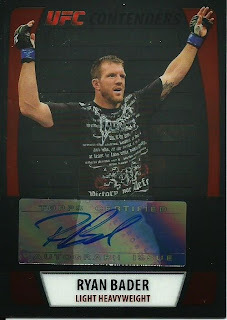 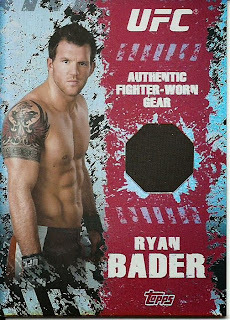 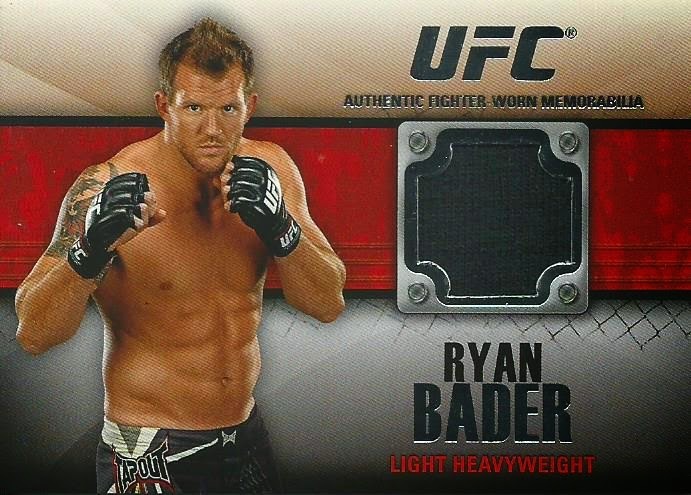 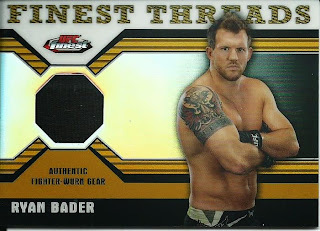 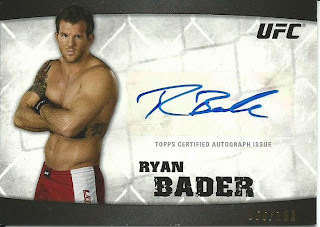 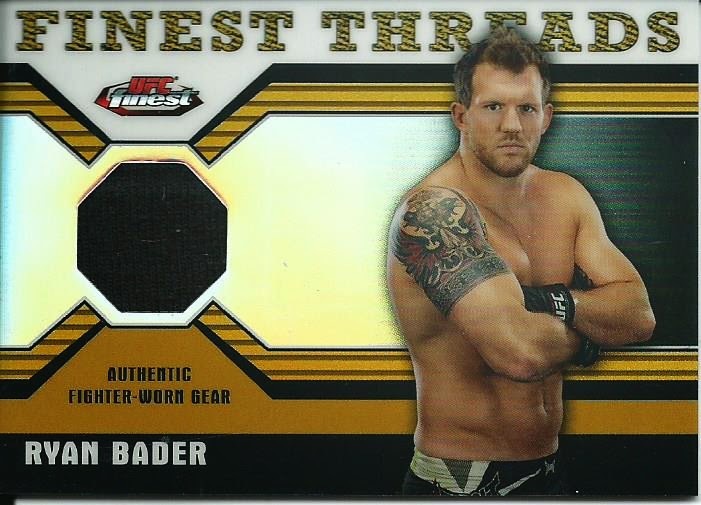 My scan folder is getting a tad full so I am going to lighten the load a bit with a post showing some of my recent pickups of my favorite MMA fighter Ryan Bader. 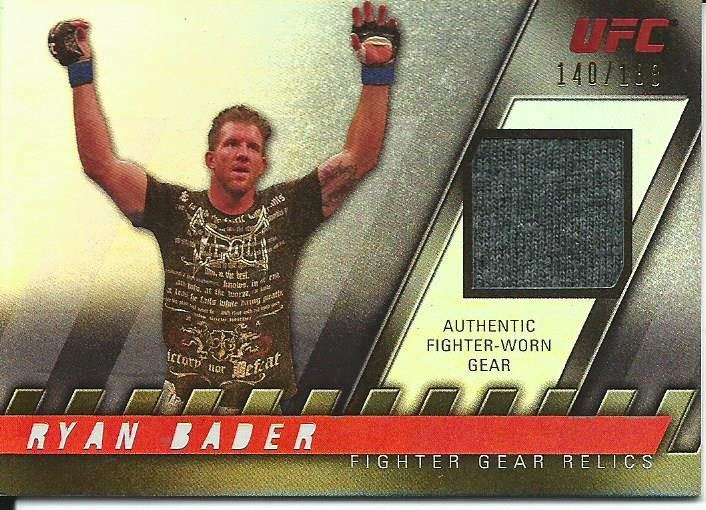 One of my favorite sets from last year, the 2014 UFC Champions release. 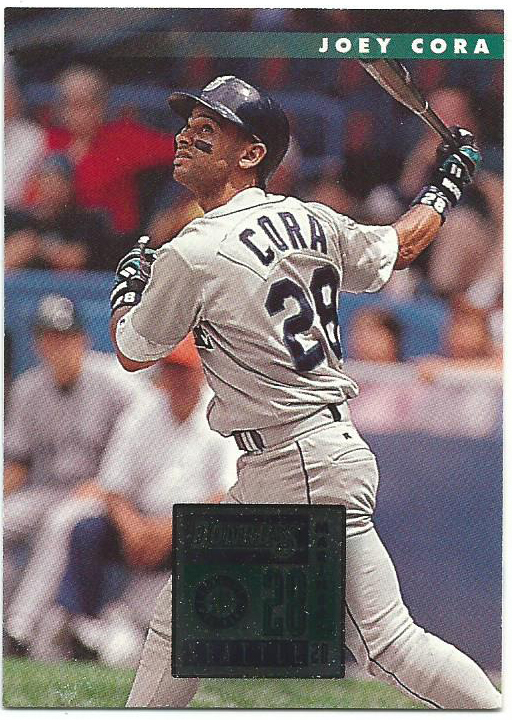 This is the Blue parallel #/88. 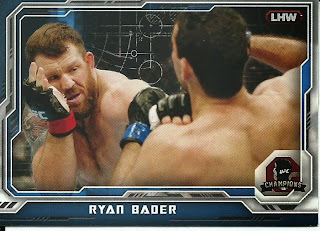 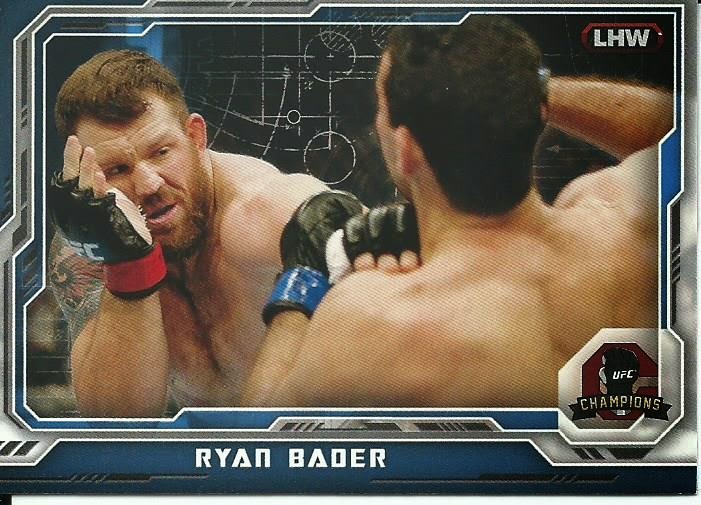 The final cards are connected to one of my big pick-ups last year, the 2014 Topps UFC Bloodlines. 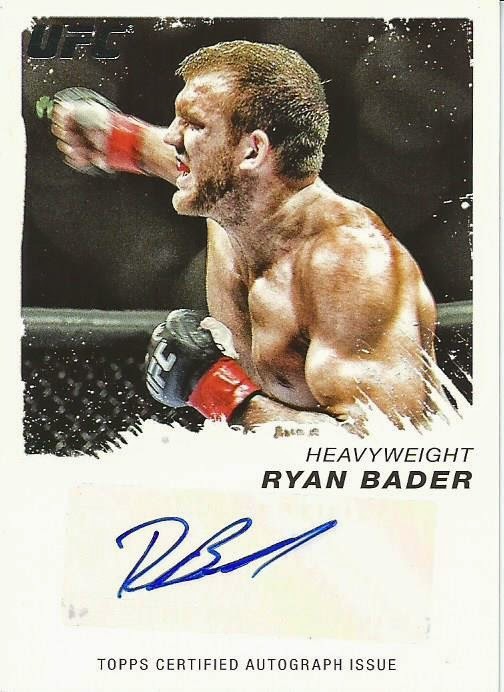 At the end of December I picked up the Topps Vault 2014 Bloodlines Bader blank back card #1/1 and earlier this year I added the Base version and the Ruby version #/8 to my collection.